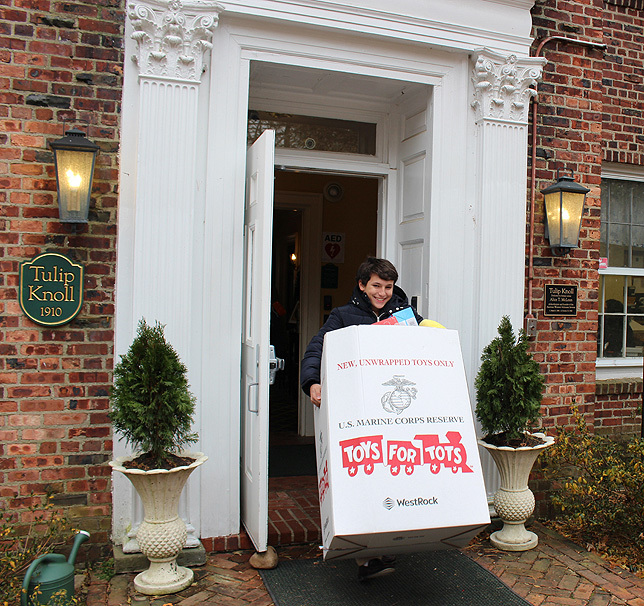 St. James, NY - December 13, 2017 - United States Marines from the Sixth Communications Battalion, Alpha Company, in Farmingdale, NY, visited Harbor Country Day School in St. James to collect thousands of toys donated to the Suffolk County Toys for Tots program. 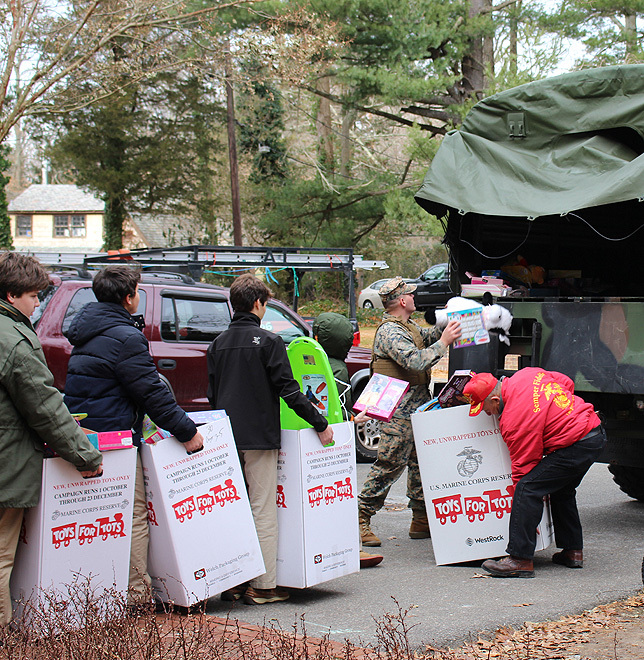 The toys were donated by Harbor Country Day School students, as well as members of the surrounding community. In addition to collecting toys from its own students, Harbor Country Day serves as a drop-off location for the community. Harbor Country Day has contributed to the Toys for Tots drive since 1998, when former Harbor employee Mike Guido instituted the program. Now retired from the school, Mr. Guido directs the delivery of toys from various sites throughout Smithtown to Harbor Country Day and other drop-off locations. TheJohn W. Cooke V.F.W. Post 395 of St. James, of which Mr. Guido is a member,contributesfunds every year to the Harbor Country Day School toy drive. Students of the school then use those funds to purchase additional toys for the drive. The mission of the U. S. Marine Corps Reserve Toys for Tots Program is to collect new, unwrapped toys during October, November, and December each year, and distribute those toys as Christmas gifts to less fortunate children in the community in which the campaign is conducted.The program helps those children experience the joy of Christmas and plays an active role in their healthy growth and development. During the annual three-month toy collection and distribution campaign, the program unites all members of local communities in a common cause and gives everyone an opportunity to contribute to the future of their community. The Toys for Tots program is the nation’s largest holiday toy drive.